These words are nothing but the profound truth of supremacy. When we got a copy of this book in our hands recently, it rebuilt the faith we had in us much stronger. At this moment, we only want to take the blessings and energy of the souls of Anupam Mishra, the illustrator and the entire team who have been instrumental in bringing out this book. They are nothing less than masters for us. We want to spread the same faith to you all through this book. A very ancient stone temple, located on the outskirts of Hyderabad is where Arunima and Kaushik are going to get married and it is on the same day that the first copy of this book from Cuckoo shall be placed in the shrine in which a lamp has been constantly burning for the last 600 years. 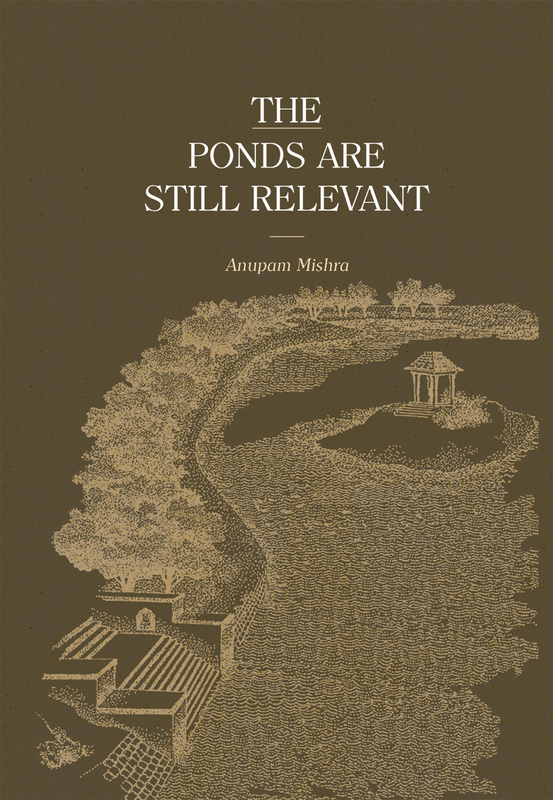 Coincidentally, abutting the temple is a large pond, very relevant to this book. Doing so is our only way of expressing gratitude to Anupam Mishra. And Who is Anupam Mishra? He had also worked with Chandi Prasad Bhatt in the Chipko Movement to protect forests. Rajendra Singh referred to him as a fearless and a transparent person, who led a very disciplined life. When Singh met him in the hospital, he saw that there was no fear of death on his face and that he spoke with the same courage and enthusiasm as always. He instilled a sense of pride among local communities about their traditional knowledge, at a time when this knowledge was being forgotten and modern technology was taking over. He was a peculiar example of love towards nature. He was a seeker of folk life and science and believed that science is not limited only to the labs, and that a common man also bears the scientific knowledge which has been moulded in the shape of various traditions over the years. Mishra adopted a very meditative and spiritual approach to understand the problems of the society and the world as a whole and acknowledged the direct relationship between natural resources and human needs. He believed in understanding the dimensions of relationship between progress and tradition rather deeply. The establishment of Centre for Science and Environment became possible because of Anupam Mishra’s valuable contribution. A number of environment protection projects throughout the world have taken inspiration from the work of Anupam Mishra. It inspired a lot of people to take the agenda of environment protection pretty seriously. Mishra started thinking about self-reliance in water in the early 1980s, when he was travelling through Rajasthan. He was impressed by the several kunds, tanks and lakes in some places that he came across that were fully functional even in the scorching summer. Soon afterwards, he travelled through Goa. There, he saw that the lush green paradise was slowly turning into a concrete jungle with resorts, hotels and private homes coming up in places that were catchment areas for water. There, he noticed that after the monsoon, water stocks decreased drastically. Tankers were needed to supply water to many villages as the groundwater had depleted rapidly after monsoon. The comparison set him thinking, travelling, meeting people and trying to understand what different communities were doing with water. In 1991, he started writing the book. Why is it more important now of all times? Now, is the need to pay heed to his warnings on rampant encroachment of the water bodies, adopt water harvesting techniques extensively, and develop a recycling culture to ward off a big water crisis. Work is going on to bring this book in Tamil too. You can contact this number to get a copy of this book after the 1st of July. Thanks to Gandhi Peace Foundation, New Delhi, Thiagarajan R and Akarmaa.